There are all kinds of interesting off-road motorcycle histories worthy of your time. 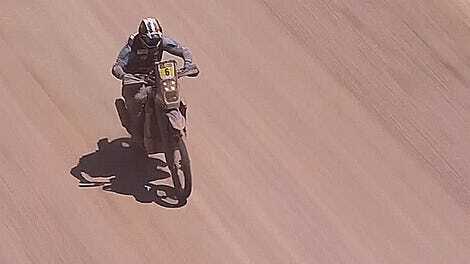 Little Bultacos livening up the dirt bike world, for instance, or Baja 1000 solo runs. But my heart looks to the Paris-Dakar, and here’s a collection of all the winners from the ‘70s through the ‘90s. 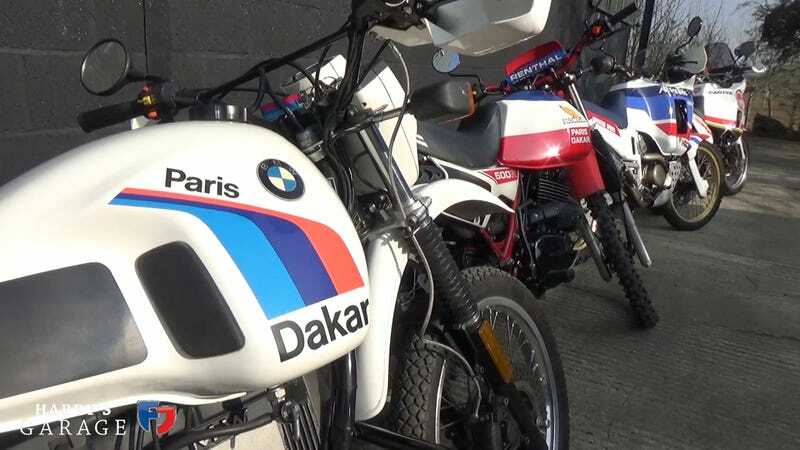 This is former EVO magazine head Harry Metcalfe’s collection of road-going versions of all the early Dakar winners, covering all the years from 1979 to 1998. I don’t know where Harry gets his money from to amass this collection of bikes, but he has a farm so I can only assume that he is a duke of some kind, and he has many serfs who build these bikes for him by hand. This is from my understanding of the UK that may be slightly behind the times. This collection, I will say, makes for a nice evolution in what works off road, through the desert, at high speed, for thousands and thousands of miles at a time. It all starts with the little simple, single-cylinder Yamaha XT500, builds up into the stronger and bigger BMW R80 G/S Paris-Dakar, from there into the more motocross-inspired Honda XL500 R Paris Dakar, then the purpose-built Honda Africa Twin, then the big Ducati-engined Cagiva Elephant, and finally to the Yamaha Super Ténéré, the dominant bike designed to beat the previously-dominant Africa Twin. The bikes build in size and reward a bit of bulk in the name of crushing suspension travel and desert-ripping power. I myself long for that little Yamaha XT. You?